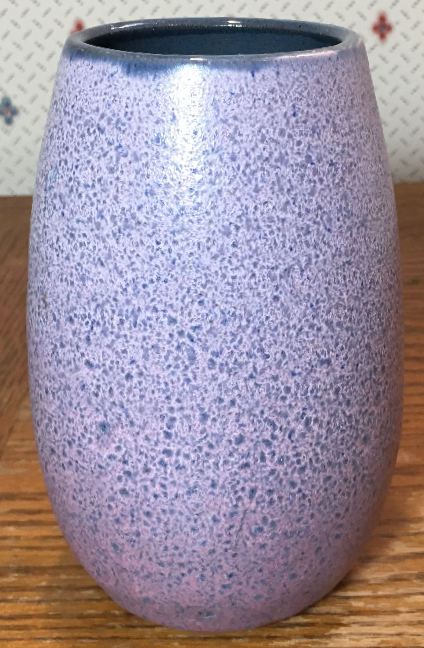 This vase isn't marked, but the glaze and clay make it certain that it's by Gramann. 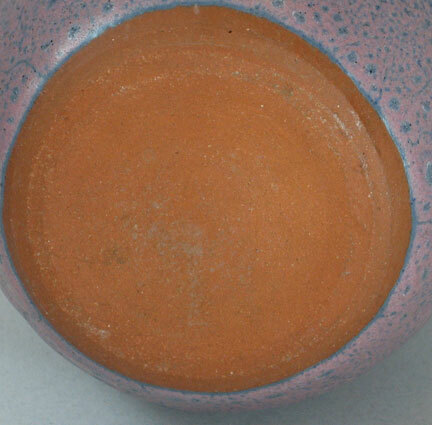 While companies often copied glazes, many of the Gramann glazes are quite distinctive and difficult to imitate. 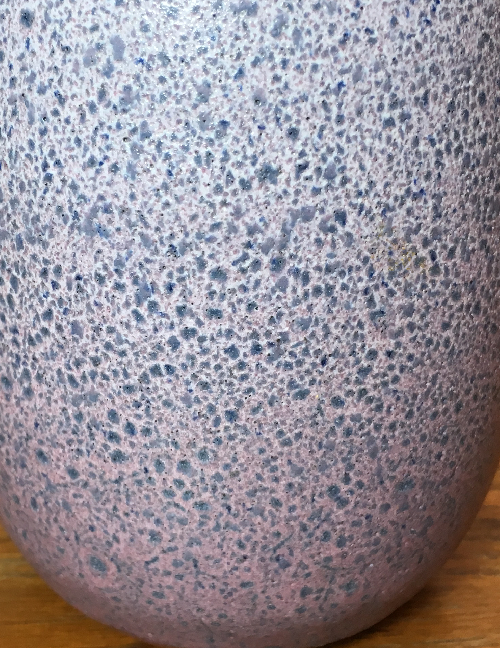 Many of the glazes use volcanic techniques, often in very subtle ways, as on this vase. 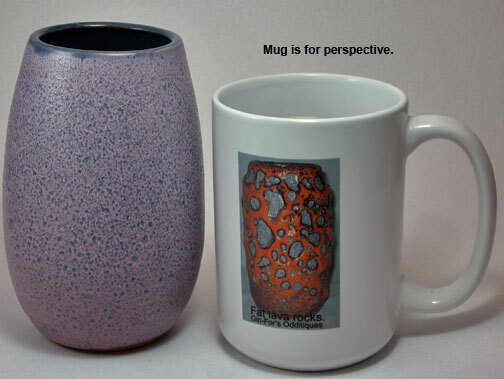 As with most Gramann work, this vase is hand thrown. 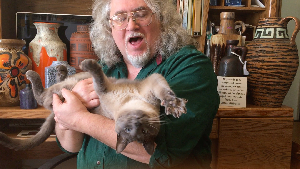 Size: Height is about 6". Price: $75 plus shipping and insurance. Condition: excellent with no damage, no repairs...fully guaranteed.